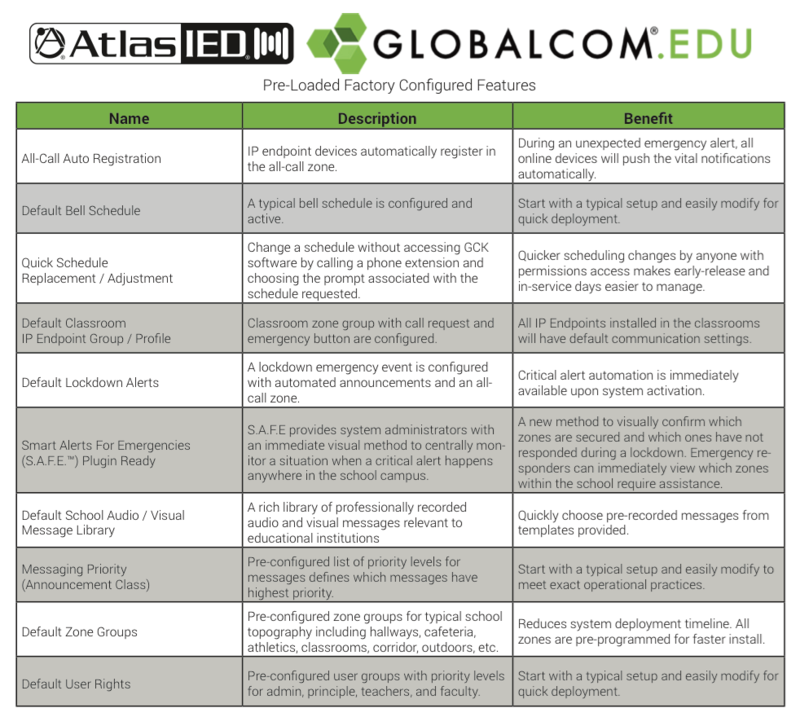 The IP108-D-EDU-CS Announcement Control System (aka ACS) is the heart of AtlasIED's next-generation GLOBALCOM®.EDU mass communication platform designed for educational institutions. 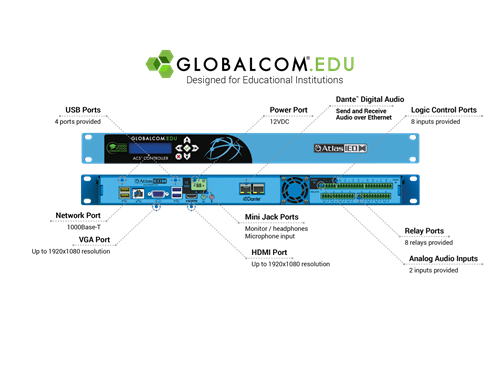 It manages the flow of announcements and messages between network endpoints such as digital communication stations, zone controllers, network power amplifiers, IP-based speakers and other types of IP endpoints. Additionally it serves as a gateway for external I/O devices, VoIP telephone systems and analog audio to be incorporated into the ecosystem. 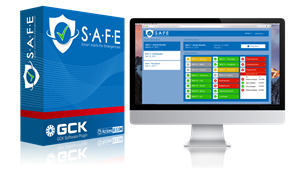 Each model is 'plug and play' ready with GCK application software installed and ready to be easily configured via an intuitive browser-based interface. 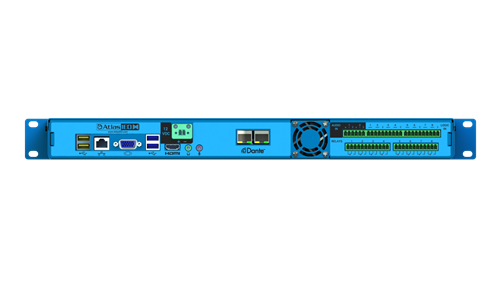 The IP108-D-EDU-CS model has the ability to interface with external systems via eight (8) built-in logic inputs and eight (8) built-in relay outputs as well as two (2) balanced line level audio inputs. 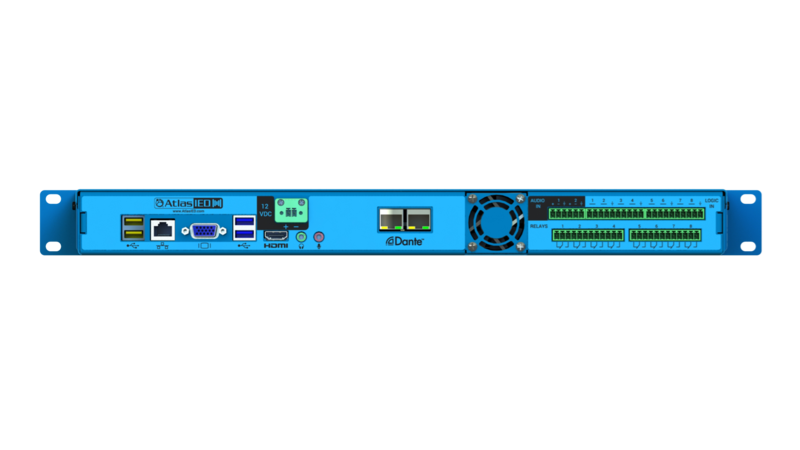 The IP108-D-EDU-CS Series Controllers support VoIP communications with Audio over Ethernet (AoE) functionality using eight digital channels of Dante™ digital audio transport over the same network infrastructure simultaneously. 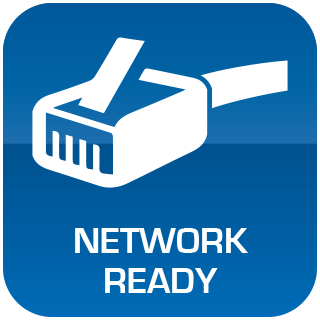 Our VoIP is Wide Area Network (WAN) enabled allowing communication to be routed across an entire enterprise or to another LAN location. 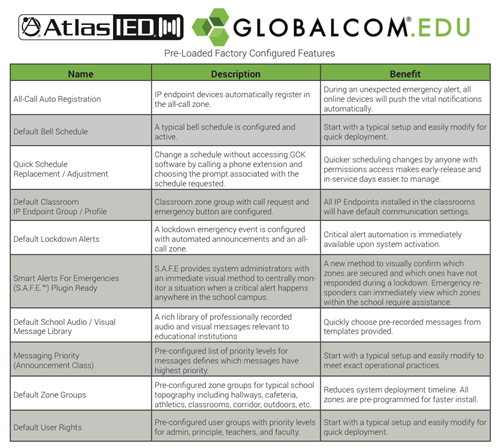 Each IP108-D-EDU-CS purchased includes up to two-(2) free hours of telephone support with AtlasIED technicians. 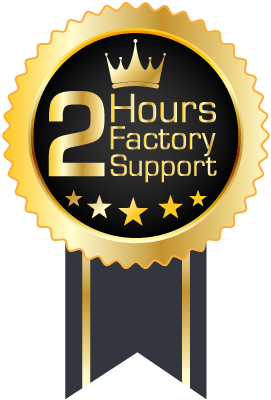 Free support can be used for initial configuration or at any time during the life of the unit when technical support is required. Manages dynamic requests for live, delayed and prerecorded messages (simple and assembled). Manages record and playback of ad hoc messages. Manages mute actions (by zone or zone group) and two-way full duplex intercom connections. Allows up to 65,565 messages priority levels with NeverMISS™ capability. 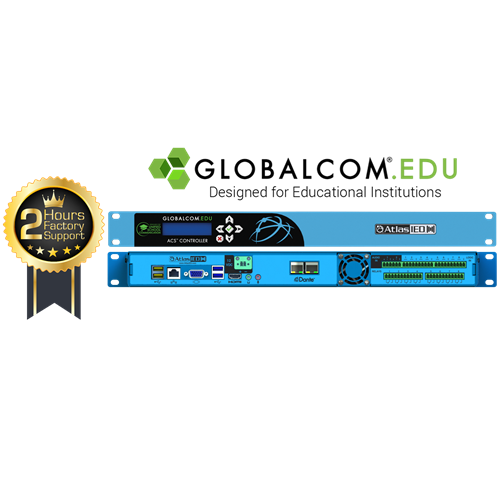 Manages thousands of audio and video output zones over local or wide area networks utilizing a variety of industry standard IP based protocols. 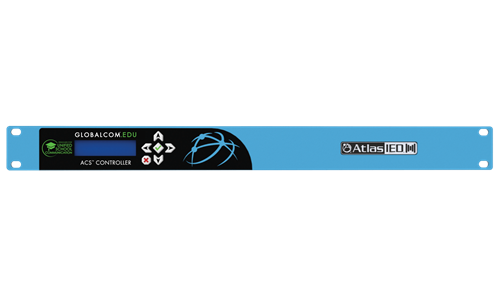 LDAP (Lightweight Directory Access Protocol) and Active Directory Supported. 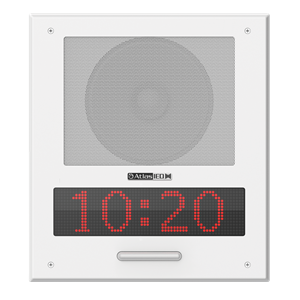 Initiate announcements by contact closure, paging stations, open standard IP network commands, and the built-in VoIP telephone interface. Includes a built-in comprehensive message scheduling system that allows the creation of schedule profiles. Built-in interface to VoIP telephone systems via SIP and PBX Trunking as well as support for standard 3rd party FXO gateway devices. 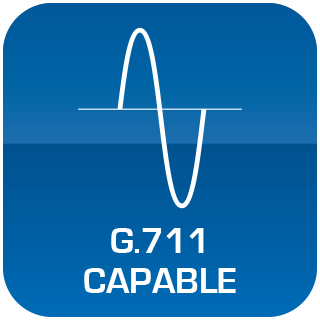 Supports industry standard G.711, G.722 and RTP protocols. Stores up to 250 hours of pre-recorded .wav message files. Stores/manages pre-recorded messages in any language. Text to Speech messages may be generated in place of prerecorded messages utilizing the default TTS engine or optional multi-lingual TTS engines. 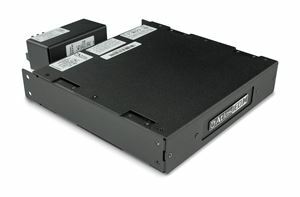 Rack Units 1 RU, 19"